As personal injury counsel, we take pride in our role as advocate for our clients who have been seriously injured. We often are pitted in an adversarial position against the insurance companies and their defense counsel. While we are always ready, willing and able to “do battle” for our clients, it is important to take a smart, efficient approach with each case to most effectively advocate for our clients. As the recent “deflategate” controversy has taught us, bitter, contentious litigation is not always the most productive manner in which to resolve a dispute. So while the top priority at Jones Kelleher has always been aggressive, efficient handling of claims for our clients, we recognize that this requires that we communicate openly and civilly with the claim representative or defense counsel to create a relationship of trust. In the world of personal injury, we see the same people over and over again and pride ourselves on our favorable reputation among this group of professionals. We find that you must be objective and realistic when advancing your client’s case. We give credibility to our clients’ claims by both emphasizing each case’s strengths and acknowledging its weaknesses. Provide detailed information, complete documentation and production of pertinent and relevant information about the claim so the insurance company can appropriately set its reserves and understand the magnitude and nuances of the case and how it may differ from other claims they have handled. Avoid piecemeal or partial production. Take pains to ensure that your adversaries understand the tangibles and intangibles of each case. Great personal injury attorneys are able to humanize their clients in order to help the insurance company and its counsel deeply understand the individual claim. Understand that oftentimes the claims representative is dealing with hundreds of files. It is critical that attorneys not let their clients’ claims get stereotyped by the insurer. Rather, the attorney should be able to identify the uniqueness of each claim so that it receives the special attention it deserves. Understand that there is a hierarchy within the insurance company and that documenting the details of each case will allow for it to be appropriately valued and given, internally within the insurance company, sufficient authority for a fair, reasonable and equitable resolution. Communicate openly with the insurer to understand its position with respect to each case. This guides the path that each case takes. Are they contesting liability, or is it admitted? Will comparative fault factor into the analysis of the claim? Is there clear liability which triggers statutory obligations on behalf of the insurer which we use for our clients’ benefit? By communicating immediately and frequently with the claim representative or counsel in a candid and direct manner, attorneys understand where the case stands and can craft the appropriate avenue for efficient and effective handling of a client’s case. So unlike “deflategate” where subterfuge and misdirection seemed common place, we handle each case with transparency. Like Bill Belichick often explains, “It is what it is.” We make sure that our clients’ injuries are documented and understood, that the medical expenses are clearly delineated, that any lost wage or diminished earning capacity is fully supported, and that ongoing permanent impairment and harm is properly evaluated and presented so that our clients’ future losses are factored into the analysis of case value. We find that a total and full presentation of the claim often yields a thoughtful and honest assessment of it. We understand that thoroughness, completeness and attention to detail allows for prompt and fair handling of our clients’ cases and by working with our adversaries and not against them we are better able to advocate fiercely for our clients. If you have a personal injury claim and would like to learn more about the advantages of our approach please contact attorney Robert DeLello at (617) 737-3100 or rdelello@joneskell.com. 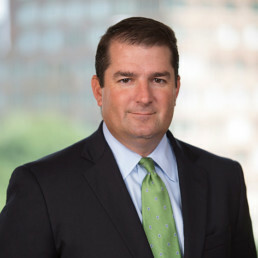 Robert A. DeLello is a partner at Jones Kelleher. Robert’s practice focuses on all areas of general liability personal injury litigation, including premises liability, product liability, construction site, motor vehicle claims, and various other types of general liability claims. His experience includes successful resolution of claims through direct negotiation with insurance companies, mediation, arbitration, trial and appeal.